Vodafone has proclaimed Birmingham New Street as the UK's first railway station to have 5G connectivity. There's just one minor problem – the lack of actual 5G devices necessary to use it. 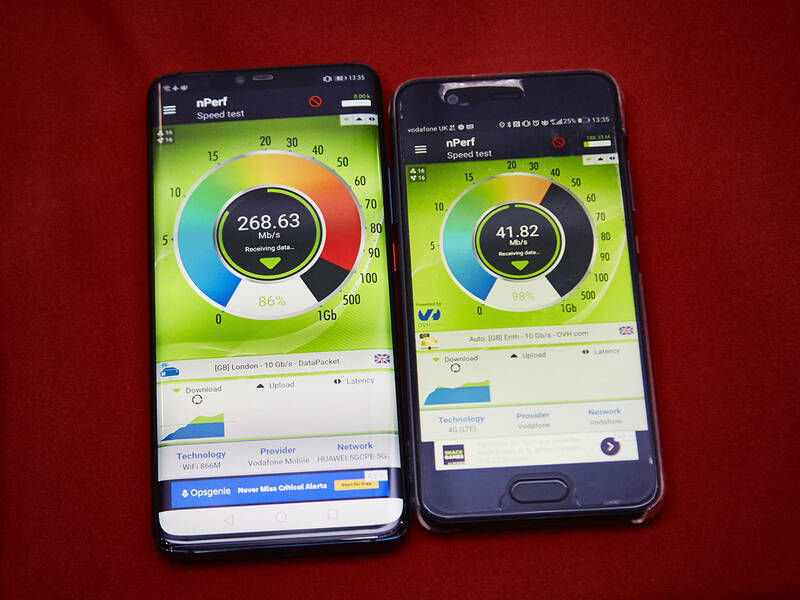 In order to test the shiny new network, 4G smartphones were connected to a 5G router, which was receiving 5G connectivity from a nearby mobile mast. This has enabled users "to get the 5G test speeds", claimed a Voda spokesperson. The attentive reader will observe that this daisy chain relies on Wi-Fi performance, which in turn depends on a multitude of environmental factors and has much lower potential throughput than 5G connectivity. To be fair to Vodafone, the company managed to reach impressive download speeds of around 268Mbps, as evidenced by the picture it supplied – but that's a far cry from 10-20Gb of bandwidth (depending on specification) that should be possible when using end-to-end 5G. The first user to trial Vodafone's not-quite-5G in Birmingham was Andy Street, mayor of the West Midlands. "When I was managing director at John Lewis, we saw online shopping transform the retail industry," he said. "I believe the West Midlands 5G project will enable our businesses, hospitals, public transport and universities to explore new services and stay ahead of their competition." On the infrastructure side, the trial used equipment supplied by Huawei – the Chinese vendor that has been banned from national infrastructure projects in the US, Australia and New Zealand, but not Europe. The UK is trying to make up its mind whether the company presents a security threat. Vodafone plans to offer 5G connectivity across 19 towns and cities by the end of 2019, including Birmingham and Wolverhampton. The lack of smartphones compatible with 5G is not really an issue: whereas the switch from 3G to 4G caused a major shift in consumer technologies, 5G is all about the industrial uses of wireless networking and delivery of high-bandwidth internet, since it outclasses Wi-Fi in almost every way. "5G will enable new applications and experiences and support the development of connected cities and smart transport solutions," said Anne Sheehan, director of Vodafone Business. "It will help businesses to implement emerging technologies such as artificial intelligence, IoT and robotics."